Measuring just 5.2mm thick, the Aircraft grade aluminium and stainless steel frame creates a sleek premium body. A water-repellent coating makes the Motorola Moto Z Force a durable and solid handset. 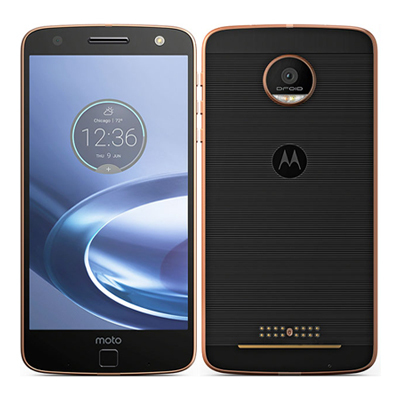 A Qualcomm Snapdragon 820 processor with 3GB/4GB of RAM ensures that the Moto Z Force really can handle anything from video recording, document editing to game play. The microSD memory card slot supports cards up to 2TB, but internal memory options include either 32GB or 64GB. The 3500mAh battery ensures your handset lasts all day, even with the heaviest of uses. Offering a 21 megapixel camera, the Moto Z Force allows you to capture the moment with optical image stabilisation and laser focus. A 5 megapixel front facing camera with flash and wide angle lens allows you to capture more of the scene, perfect for group selfie shots in low light situations. 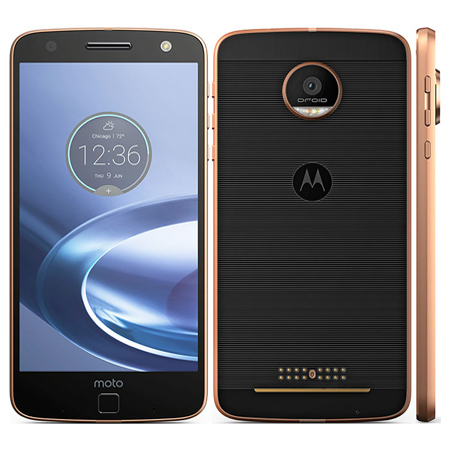 The Motorola Moto Z Force offers a crystal clear, 5.5” Quad HD AMOLED display that brings your multimedia to life. Thanks to Motorola’s second generation of Moto ShatterShield technology the display is protected and will keep up with even the most active lifestyle.